DESS exclusively provides each tenant with one or more sets of enterprise storage devices. DESS ensures fast response for applications with minimized stable latency as low as 0.5 ms and maintains a high performance at 9000 IOPS/TB. Because DESS provides the same performance and reliability as enterprise private cloud, it is perfectly suited for mission critical applications, such as Oracle RAC and SAP HANA TDI. With a range of flexible options to purchase enterprise-class resources, DESS ensures resources can be provisioned within 30 minutes. Equipped with exclusive resource pools and data isolation technologies, DESS is perfectly suited for industries whose strict compliance requirements are directly related to customer satisfaction, such as finance and security. Each tenant exclusively uses one or more DESS devices, implementing physical data isolation. When deleting storage resources or unsubscribing DESS, tenants can destroy data to prevent data from leakage. DESS caters to mission critical applications' needs so your system is running with higher reliability and performance. DESS provides stable latency as low as 0.5 ms for heavy-load mission critical databases to ensure smooth running. Enterprise-class features, such as HyperMetro, ensure the same reliability as that of on-premises data centers. Stores user data on isolated storage devices for improved data security. Provides stable latency as low as 0.5 ms and high performance up to 9000 IOPS/TB in typical database scenarios.  Interconnects with Bare Metal Servers (BMSs) and provides various storage capacities and performance specifications that are applicable to common and key databases. Provides the same data reliability and service continuity as on-premises data centers.